On September 22nd, the third consecutive Quinyx Workforce Management Day took place at Operakällaren in the center of Stockholm. The event is an opportunity for different companies to discuss Workforce Management as a success factor for profitable businesses with happy employees. During the day, winners of Quinyx Workforce Management Awards 2016 were appointed. The awards recognise organisations and individuals who have made an exceptional achievement within workforce management. The awards are divided into two categories; the Workforce Management Company of the Year and the Scheduler of the Year. Nominated finalists in this category were Casino Cosmopol, Humana and Rituals. The winner in this category was Humana with the judges saying; ”Humana has been working proactively for many years to create a simple and effective Workforce Management process som makes the life easier for both employees and customers. “The employees themselves describe it as if they now have ‘the office in their pockets’. 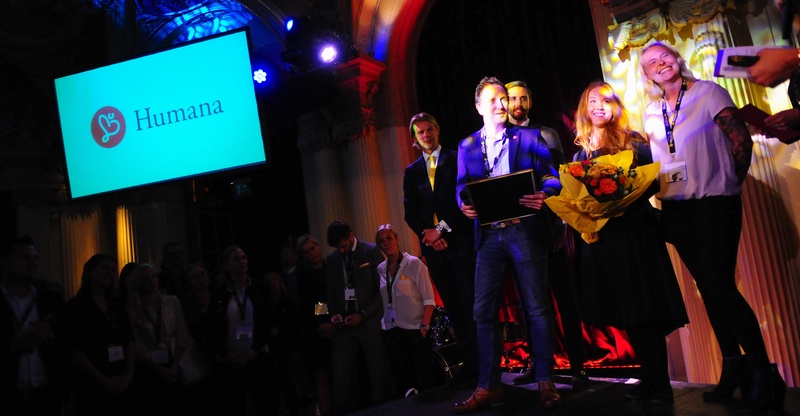 A strong sense of innovation constantly reflects the work of Humana which has resulted in connections to Swedish Social Insurance Agency which has saved them a lot of manual work. The nominees for this category was Stina Tylner from Levy Restaurants / Compass Group, Max Ysberg from 3 and Robert Kulka from Tre Stiftelser. And the winner was Stina Tylner from Levy Restaurants / Compass Group with the judges saying “Stina Tylner has, during more than three years, in her role as an HR Coordinator, been actively working to create a successful scheduling on Tele2 Arena. “Through great dedication she has actively been working to educate and support her co-workers. She has also managed to pull off the achievement to create a process where the co-workers can book their own shifts and create their own, personal schedules while at the same time making sure that the rights person is at the right place at the right time. Stina Tylner said: “It feels really good to receive this award and it’s always fantastic to get recognition for what you do! Thank you to all speakers, partners, exhibitors and everyone else who contributed to create a fantastic day! And of course, congratulations to the winners in Workforce Management Awards 2016!